You can view a detalied list of Faculty Research Interests to learn what kind of research is currently being conducted by our faculty members. Follow the link below to see a current list of Faculty Research Groups. Clicking the link below will perform a search for the most recent theses and dissertations from Computer Science at Dalhousie. Once you're on the search results page, you can click on "Refine Search" and narrow down the search results by your topics of interest or other criteria. 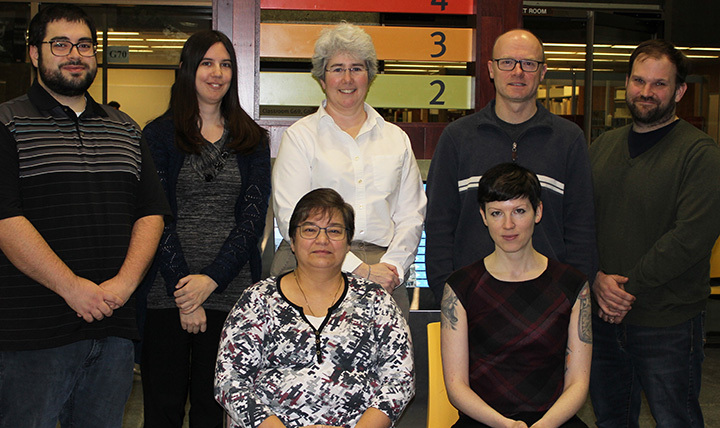 To find dissertations and theses published at Dal: Click on the drop-down and select "Institution". Write "Dalhousie" in the first box. Search for your topic in the second box. A list of upcoming and past seminars at Computer Science.